Sixteen classic Gershwin standards in sophisticated solo guitar arrangements exactly as recorded by Howard Morgen. Titles are: Bess You Is My Woman · But Not for Me · A Foggy Day · He Loves and She Loves · How Long Has This Been Goin' On · I Got Rhythm/Fascinating Rhythm · It Ain't Necessarily So · Love Is Here to Stay · Love Walked In · My Man's Gone Now · Nice Work If You Can Get It · Oh, Lady Be Good · Someone to Watch Over Me · Summertime · They Can't Take That Away from Me. 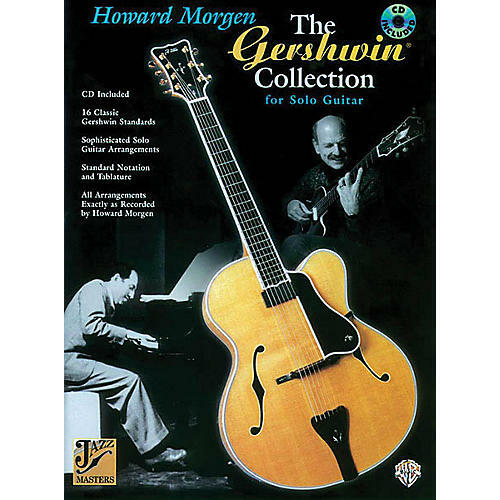 The CD features Howard playing the pieces on steel strings à la the great Joe Pass and Martin Taylor, although the arrangements can be played on nylon strings as well.